Consumers have multiple ways of protecting the paint on their trucks, cars, SUV’s and sportscars. Whether they opt for vinyl wraps, strategically placed paint protection film, or constant trips to the automotive detailer, vehicle owners have several ways of enhancing the exterior appeal of any ride. One of the most effective paint protectant products to hit the consumer marketplace recently are ceramic coatings. Some of these products have been specifically engineered to empower DIYers to keep their rides clean, shiny, and protected from exposure to damaging contaminants for up to five years. But, are automotive ceramic coatings as a whole a worthwhile investment? To be blunt; yes – ceramic coatings are highly effective at improving hydrophobic properties, producing a constant showroom shine, and protecting the vehicle’s body, glass, even wheels from exposure to the elements. In fact, some automotive experts suggest that certain DIY Nano-ceramic coatings are the most economical ways of protecting automotive paint from UV sunlight, acid rain, bird droppings, and more. So, what are the facts about automotive ceramic coatings? Let’s break down the truth about ceramic coatings, including the different types, their pro and cons, and some of the most commonly asked questions of car owners considering making the investment. 1 What is Ceramic Coating? 2 What are the Options of Ceramic Coating? 5 What are the Pros and Cons of Using a DIY Ceramic Coating? 6 What is the Smarter Investment – Ceramic Coating vs Car Wax? 8 Question #1 – Can you use DIY Ceramic Coatings on just car paint? 9 Question #2 – How long does a DIY Ceramic Coating last? 10 Question #3 – How many coats need to be applied for it to work best? 11 Question #4 – How much does (1) 30 oz bottle cover? 12 Question #5 – What is the shelf life of a DIY Nano-Ceramic coating product like Armor Shield IX? Ceramic coatings are more common than you’d think. In fact, non-stick cooking pans are lined with similar quartz-based ceramic coatings. Today’s automotive ceramic coating is a specifically engineered solution that uses nanotechnology to infuse on the clear coat of paint and other surfaces, creating an exceptionally strong and microscopic layer of skin to protect. The formula for automotive applications has been fine-tuned to help produce an elegant shine that can last anywhere from 2 to 5 years. When a ceramic coating is applied to a vehicle’s paint, it fills all of the microscopic imperfections in the paint, which makes the surface perfectly smooth. The even layer of protection helps improve hydrophobic properties (or making the paint water-resistant), and resistant to chemicals, scratches, UV light, bug splatters, bird droppings, road grime, ice and snow, and so much more. When the ceramic coating cures, it becomes incredibly strong, which helps reduce the appearance of those annoying swirl marks that happens when improper waxing or washing techniques are used. What are the Options of Ceramic Coating? The most popular type of ceramic coating is the professionally installed version – or a commercial grade coating. This industrial strength ceramic coating requires advanced preparation techniques and application procedures, is longer to cure, and often takes a few days to complete. Due to the excessive time required to correctly apply, professional installation companies charge anywhere from $1,000 to $2,500 or more. The newest kid on the paint protection block is the DIY Nano-Ceramic coating kit. There are several grades of ceramic coating used in these kits, which are ‘rated’ based on the percentage of quartz used in the formulation. The majority of DIY Nano-Ceramic coating kits range from 40 to 60% quartz. However, there are a few that are higher-quality – that can approach 80% formulation; resulting in much better adhesion, longer lasting results, and superior protection. As a whole, the primary difference with DIY kits vs commercial grade is that the DIY version is specifically formulated for an easier consumer application, does not require the same advanced prep-work, yet can produce similar results. A DIY ceramic coating will run you between $30 to $150 (depending mainly on the quality of the product and the size of your vehicle). What are the Pros and Cons of Using a DIY Ceramic Coating? One of the biggest myths about ceramic coatings is they require professional installation. Although it’s easy and convenient to have an expert complete the prep work and installation, you often pay a premium for it. This reality stimulated creative manufacturers to reformulate the proven ceramic coating technology for passionate do-it-yourself enthusiasts. And in all honesty, DIY Nano-Ceramic coatings are not that difficult to prep and apply correctly. 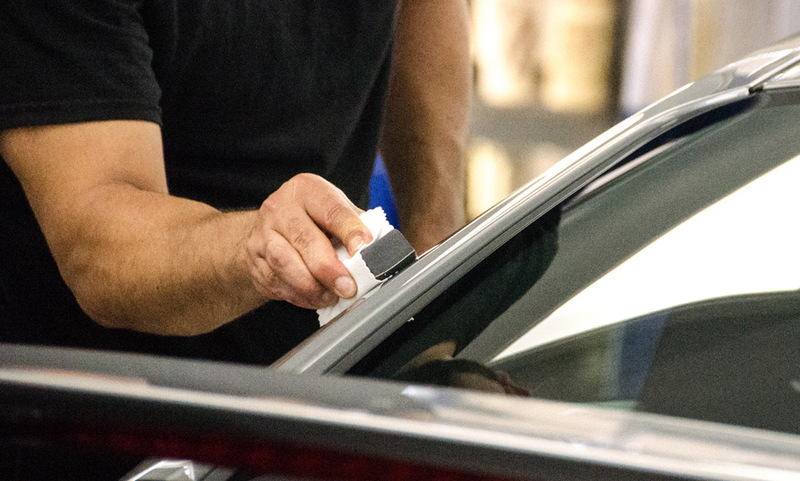 Like any automotive project, the key to the successful installation of a DIY Nano-Ceramic coating is prep work, which consists mainly of making sure the paint is clean, free of wax, debris, and contaminants. When the surface is clean, it provides a smooth canvass for the ceramic coating to adhere. Proper prep work and application permits the ceramic coating to truly protect the clearcoat of the paint, which also produces an elegant and continual shine. DIY Ceramic Coatings are much easier to install and require less prep work. 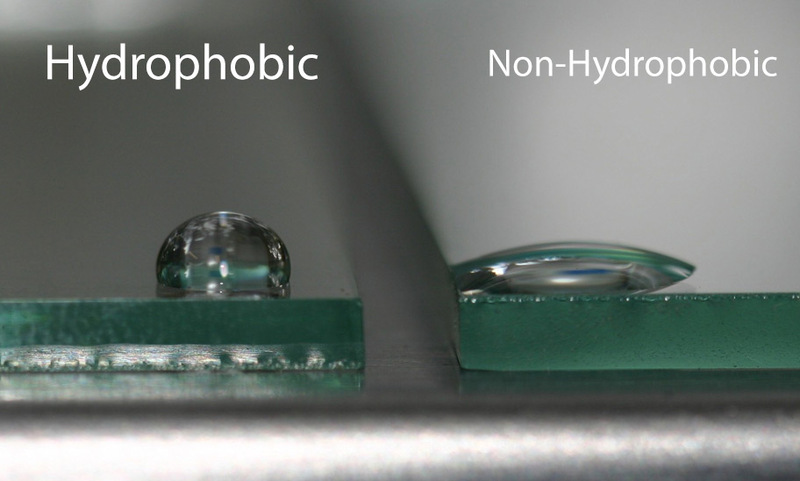 They produce amazing hydrophobic protection with water, dirt, ice, and snow slipping off the surface, which improves cleanliness. Creates an amazing showroom shine without the need for constant waxing or polish. 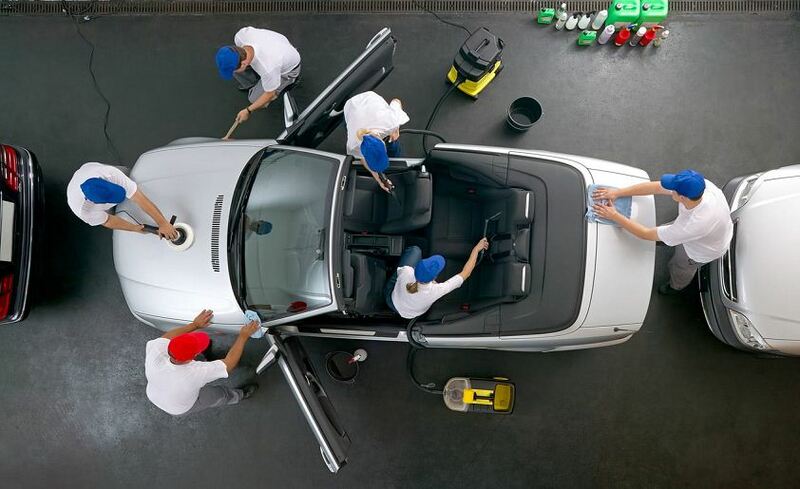 Bug splatters and bird droppings don’t stick or damage the paint clear coat. This makes it easier to remove with simple water. The best quality DIY Nano-Ceramic coating kits can last up to 5 years when properly prepped and applied on paint in exceptional shape. Buyer beware – they are not equal in quality. Some DIY ceramic coating kits are made with ‘watered down’ formulations, that produce less than promised results. all DIY ceramic coating kits are equal. Some prep work is required for proper application. Is not intended as a paint restoration product. What is the Smarter Investment – Ceramic Coating vs Car Wax? At the beginning of this article, we posed the question about whether or not a ceramic coating is a good investment. In all honesty, it really depends on the product and option you’re considering. If you don’t mind spending a few thousand dollars on having a professional install a commercial-grade ceramic coating, then yes – that’s a good investment (for some consumers). When you factor the money you’ll spend on weekly trips to the automotive detailer, applying wax and sealants, and the time-consuming process of the labor involved, over a period of a few years, the money spent is well worth the initial investment. However, if you don’t have a few thousand dollars sitting around, but still want the superior protection – a high-quality DIY Nano-ceramic coating is an even better financial investment. Consider the fact that you’ll spend about 10% of the cost of professional installation – with similar results after a little elbow grease – it’s a no brainer. Consider this equation. On average, it costs about $20 per month on supplies needed to wax and polish your car. Also, the factor that it takes around 4 hours each time to wash, remove the old wax, re-apply, buff, polish, buff again, and complete the process each month. What’s that worth to you in ‘sweat equity’? Assuming you take your car to a professional auto detailer to complete this for you – at a minimum, you’ll be spending $50 per month. That means, that each year you’ll spend more than $500 on keeping your car shiny – but not as protected as a high-quality DIY Nano-Ceramic coating. Question #1 – Can you use DIY Ceramic Coatings on just car paint? Answer – Actually, a high-quality product like Armor Shield IX DIY kit can be applied to automotive glass, paint protection film, helmets, windscreens, even smartphone screens. Question #2 – How long does a DIY Ceramic Coating last? Answer – Depending on the condition of the paint clearcoat, the prep completed, and the application of the product, a high-quality DIY Ceramic Coating like Armor Shield IX can last from 3 to 5 years. Question #3 – How many coats need to be applied for it to work best? Answer – Two is the maximum number of coats that are needed. In fact, if a manufacturer tells you that more coats are required, it’s not a very good product, to begin with. Question #4 – How much does (1) 30 oz bottle cover? Answer – When properly applied, the 30-ounce bottle is good enough for a small car (like a coupe) / motorcycle. For sedans, and crossover SUV’s (2) bottles is recommended, while trucks and full-size SUV’s should use (3). Question #5 – What is the shelf life of a DIY Nano-Ceramic coating product like Armor Shield IX? Answer – Once you open the bottle, it’s best to use it as quickly as possible. However, if unopened and stored in a cool and dry area, it can last for up to (2) years. When you break it all down, if cost-effectiveness, maximum protection, and long-lasting results is important to your car care needs, Armor Shield IX is the ultimate solution. 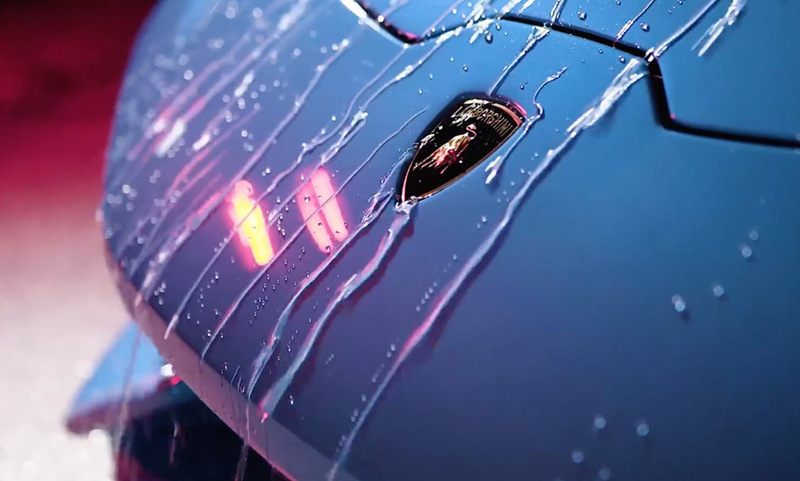 Not only does it help to protect the surface of your vehicle from exposure to damaging contaminants and elements, but it produces an elegant shine – continually. The important thing to do is complete some additional research on the proper preparation and application techniques, to determine if you feel comfortable taking on this type of DIY project. However, you’ll quickly discover that using Armor Shield IX is easier than you’d think, and it results speak for themselves.